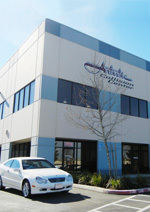 At Aristic Collision Center, we have one goal, to exceed your expectations. We would like to have a good understanding of your needs and concerns. We would like to provide you with a good understanding of the processes involved in restoring your vehicle to its pre-loss condition. When you choose Artistic Collision Center, you and your vehicle will receive our personal attention. We'll make every effort to treat you the way we would like to be treated as a consumer. As a family owned and operated business, it's what we've been doing everyday since 1980. We expect that you will leave our facility with a smile on your face and happy to refer your friends and family to us. - Modern equipment and advanced material systems specifically designed to restore todays complex vehicles to their pre-accident condition. - Commitments to making sure that our personnel are highly skilled and that they receive periodic training and certification to keep up with the latest technical innovations. - Pride in the fact that we pay close attention to the things we do, from ensuring the safety and integrity of your vehicle, to obtaining a perfect color match of your vehicles refinish. Please take a look around and feel free to contact us with any questions that you may have. Thanks for stopping by!